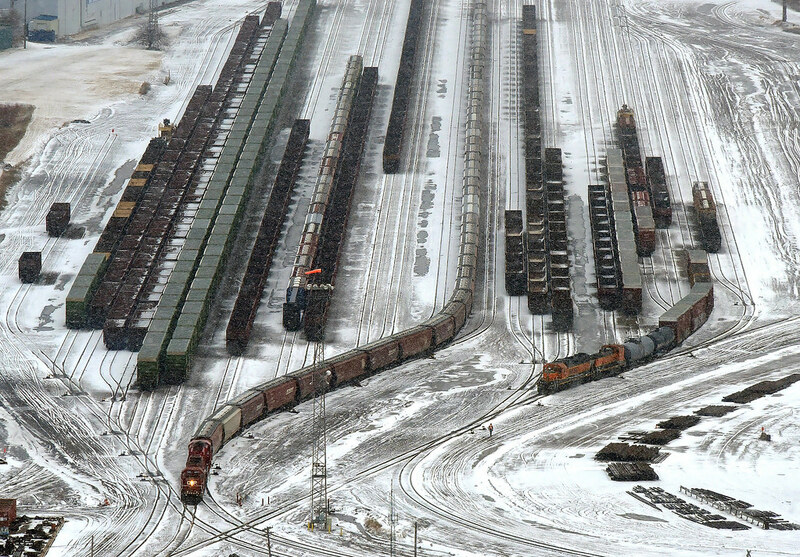 The photographer says: The wind sock high above Rices Point yard tells the story as light snow is blowing sideways as a CP transfer picks up 50 grain loads for Riverland. Had we received snow instead of rain the previous day it would have been a full blown blizzard. Welcome to March in Minnesota, it must be state high school hockey tournament time. 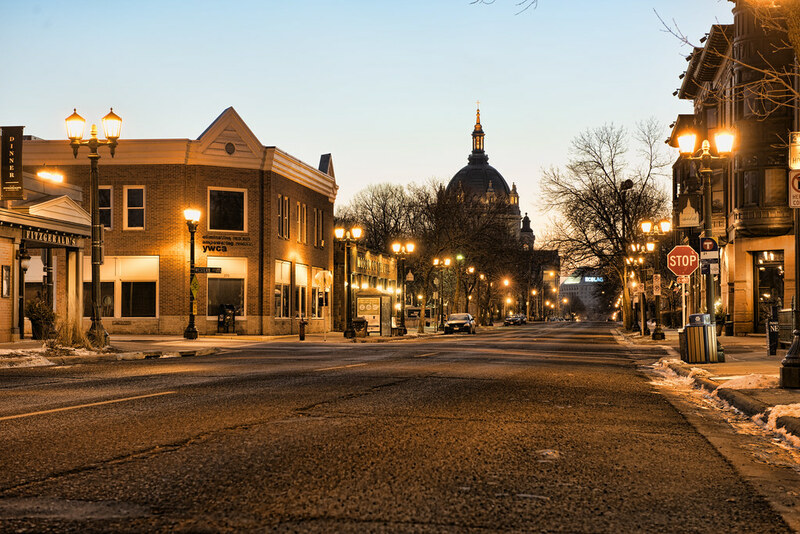 Taken just blocks from the St. Paul Cathedral (visible in the distance), the quaint nature of St. Paul is clearly visible in this just-after-sunrise photo of Selby Avenue. The photographer says: We have been experiencing some very strong winds the past few days that have seen gusts well over 50 mph. 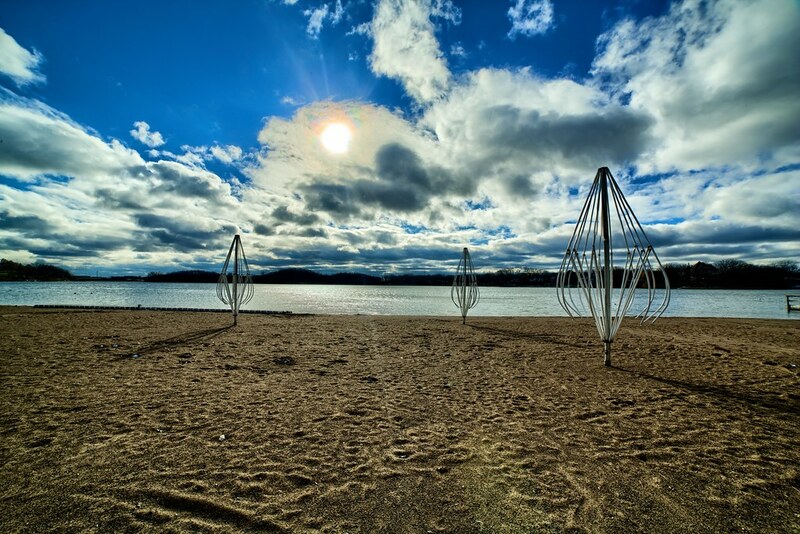 The waves on Lake Superior have been impressive, recorded at 20 feet high in some places and providing some nice photo opportunities along the shore. 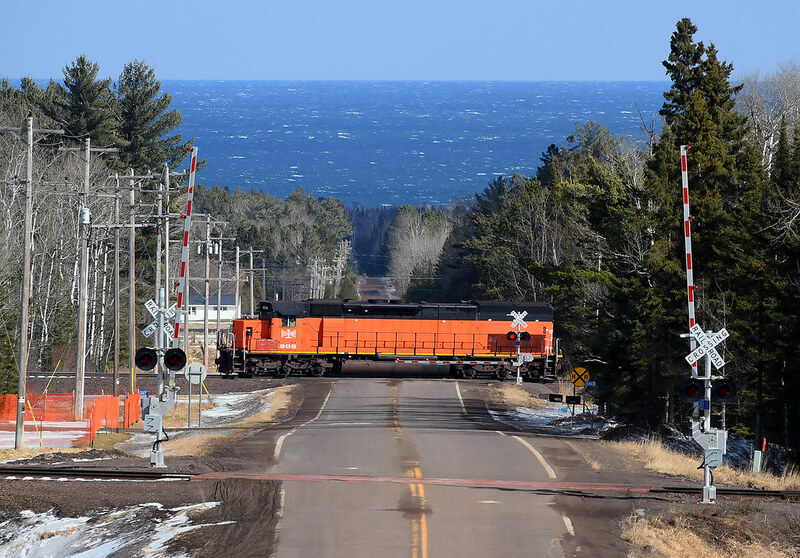 The white caps are clearly visible in this image at Two Harbors as B&LE 906 runs light back to town after working the Wales Branch. 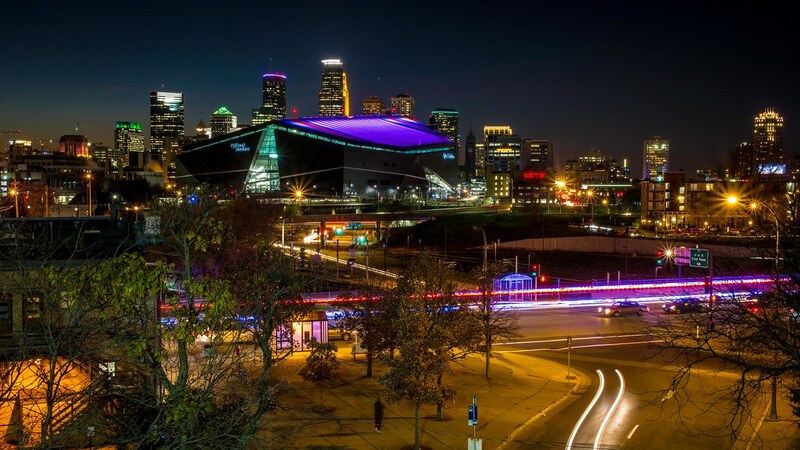 With traffic streaking through the darkened streets of eastern downtown Minneapolis, the recently opened U.S. Bank Stadium has its roof lit up in purple which adds an interesting element to the lit skyline of Minnesota's largest city.